Just about every brand under the Volkswagen Group umbrella has its own performance line these days. Marques like Lamborghini, Bugatti and Porsche may not need them, but Volkswagen has the R line, Audi has the RS range, Skoda offers the vRS models, and Seat badges its under the Cupra name. 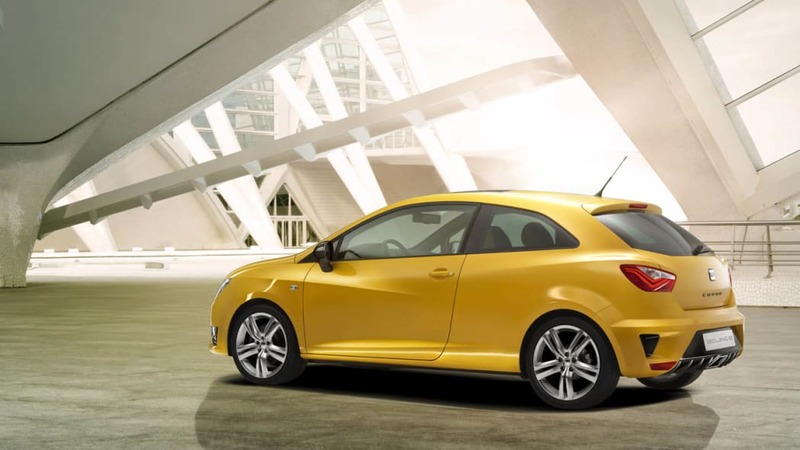 It's a nameplate that's become synonymous with Latin-flavored hot hatches in markets around the world, and one of those vital markets is China. 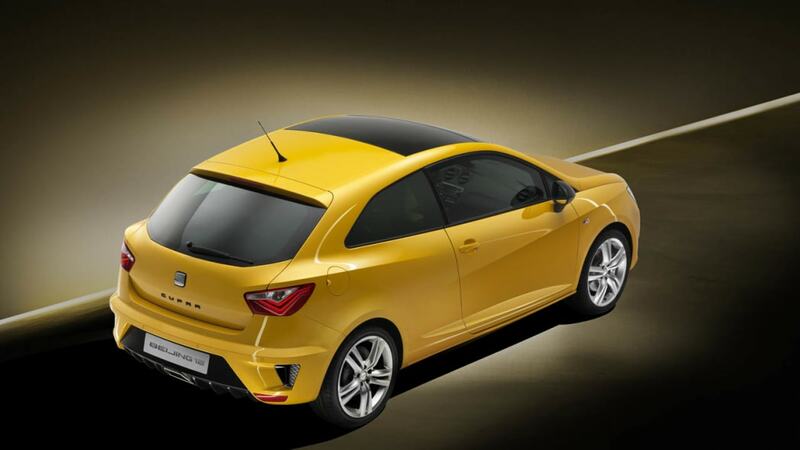 Little wonder, then, that Seat chose the Beijing Motor Show to launch its latest Cupra model. Technically billed as a "concept," even Seat admits the vehicle you see here is pretty darn close to the production model that is scheduled to debut later this year. 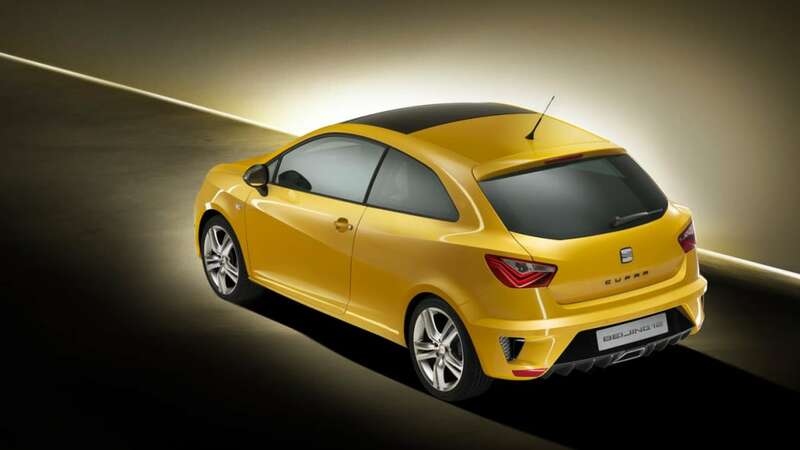 It starts out with the latest Ibiza hatchback (which itself shares its underpinnings with the Volkswagen Polo) and upgrades it with VW's celebrated 1.4 TSI engine that packs a turbocharger, supercharger and direct injection to produce a solid 180 horsepower. All that juice is driven to the front wheels through an electronic differential and seven-speed dual-clutch transmission. 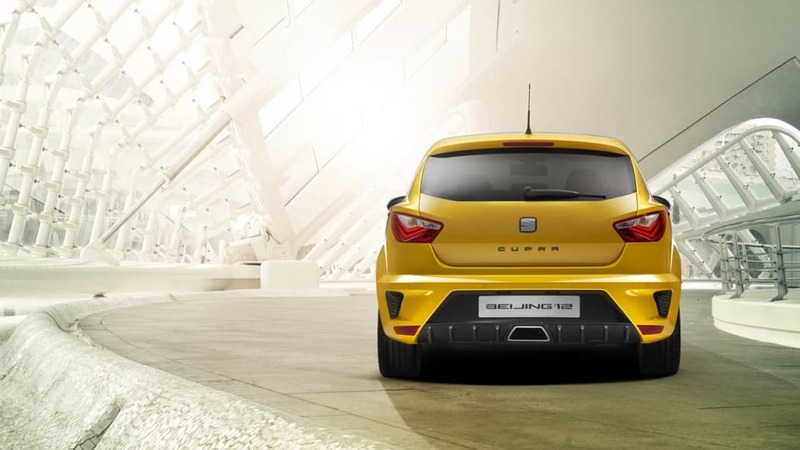 Seat's also given the Ibiza Cupra Concept a suitably beefed-up look with LED lights and 17-inch wheels and a fully equipped interior, all of which you can read more about in the press release (together with video footage) below and scope out in the high-res image gallery above. 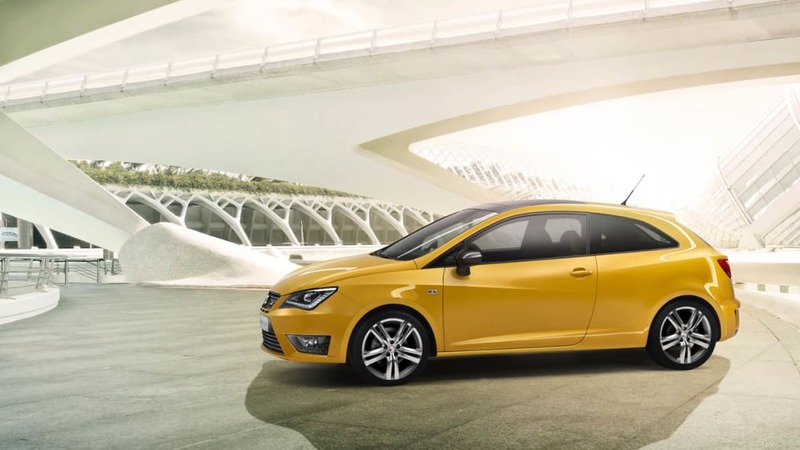 Beijing, 22.04.2012 – At the Volkswagen Group media evening that heralds the start of the Beijing International Motor Show, SEAT presented the Ibiza CUPRA Concept as a close-to-production concept car. The Ibiza CUPRA Concept shows the SEAT DNA in its most concentrated form – amazing performance, the latest technology and comprehensive equipment clad in an emotional design that has been consistently developed. 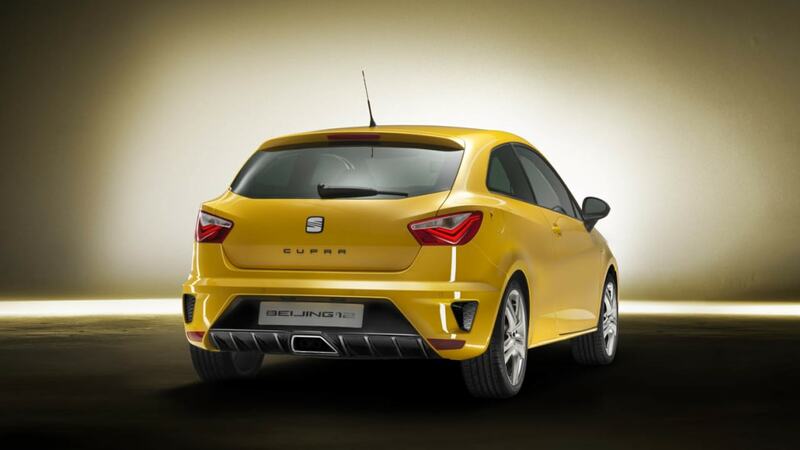 With its compact form, the Ibiza CUPRA Concept is a sports car for every day, combining agile driving fun with a high degree of functionality. 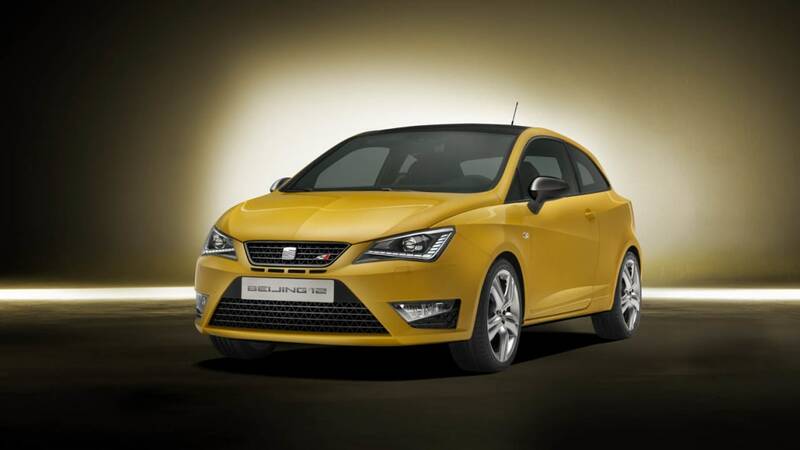 The series-production model of the new Ibiza CUPRA will arrive towards the end of the year. 132 kW / 180 hp, seven-speed DSG transmission with shift paddles, XDS electronic differential lock, high-performance brakes – high technological competence is just as much a given in the new Ibiza CUPRA Concept as the comprehensive equipment featuring lots of innovative details. One example is the optional SEAT Portable System that combines navigation and entertainment functions and is removable for mobile use. "With its new, powerfully accentuated design, its innovative technologies, upgraded interior and further improved quality, the new Ibiza CUPRA Concept clearly shows how our brand is continuing to develop," says James Muir, Chairman of SEAT. "Emotional design and refined dynamics guarantee driving fun on every single kilometre. We are presenting the Ibiza CUPRA Concept at the Beijing Motor Show because this compact athlete will be an important element in the development of our brand in this key market." The first generation of the Ibiza CUPRA took to the streets in 1996, since when the dynamic CUPRA models have developed to become an icon of the SEAT brand. 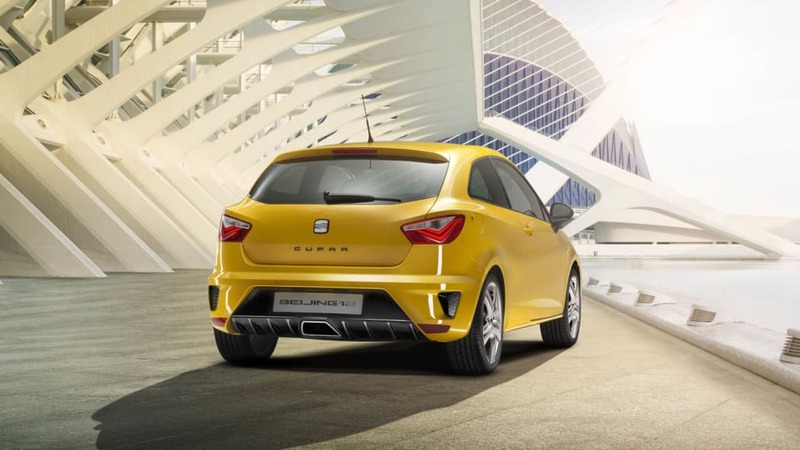 The Ibiza CUPRA Concept shows how the next chapter of this success story will be written – the state-of-the-art 1.4 TSI engine is a compact piece of hi-tech with dual charging by supercharger and turbo, as well as direct injection. 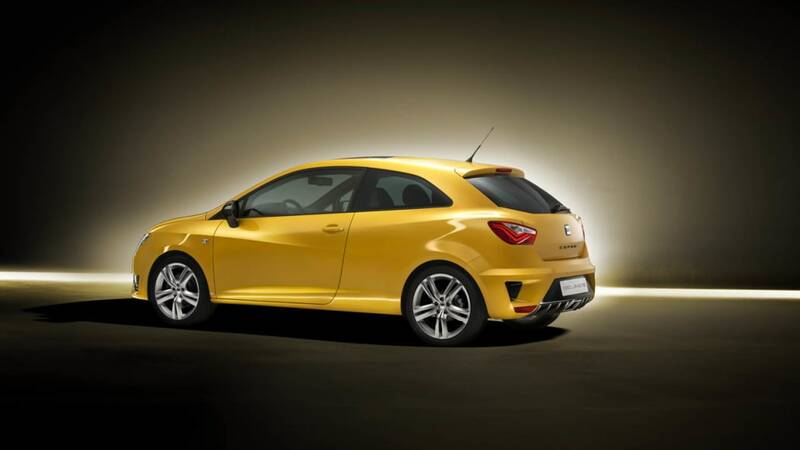 And, with its 132 kW / 180 hp and a maximum torque of 250 Newton metres, it guarantees exceptionally refined performance. The seven-speed DSG transmission with its extremely short shift times can also be operated via shift paddles behind the steering wheel. "Immediate and linear acceleration, with agile handling, good traction and responsive brakes are the key ingredients for what the CUPRA name represents," says Dr. Matthias Rabe, Vice-president for Research and Development at SEAT. "The new Ibiza CUPRA Concept is a perfect example of how we at SEAT are adapting the latest Volkswagen Group technology to create a unique and highly rewarding package." The expressive design displays the competence of the new Ibiza CUPRA Concept from the very first glance – the compact athlete has a solid and powerful stance. The new face with its broad grille and very forceful air intakes emphasizes the breadth, solidity and power of the Ibiza CUPRA Concept. 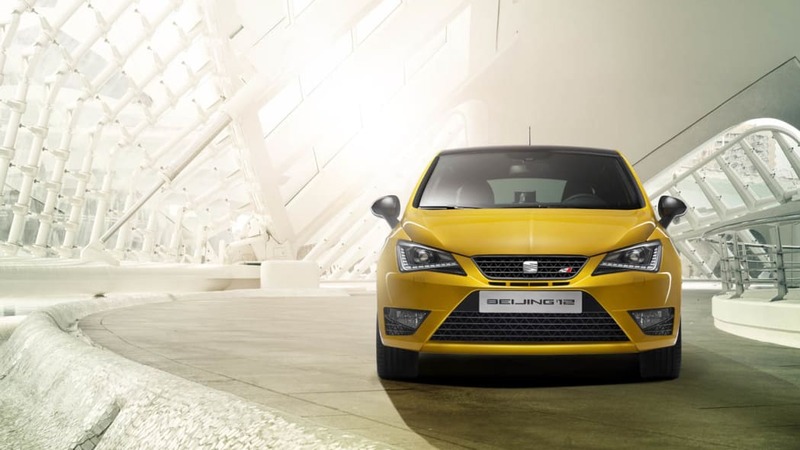 The sophisticated design of the front headlamps show the attention to detail in the work carried out at SEAT. The edgy line of the lamps is typical of the SEAT design language, while at the same time being integrated perfectly into the Ibiza's sculptural form. The LED daytime running lights trace the line of the headlamps to deliver a unique light signature, as do the LED rear lights. Technically, the bi-xenon headlamps provide perfect illumination, while cornering lights are integrated into the large fog lamps. The side view of the three-door sports coupe is brought to life by its sharply drawn lines and edges, while the muscular rear shoulders and 17-inch wheels underscore its dynamics. The exterior mirrors are painted black and offer a clear contrast to the distinctive Crono yellow paint finish of the CUPRA Concept in Beijing. 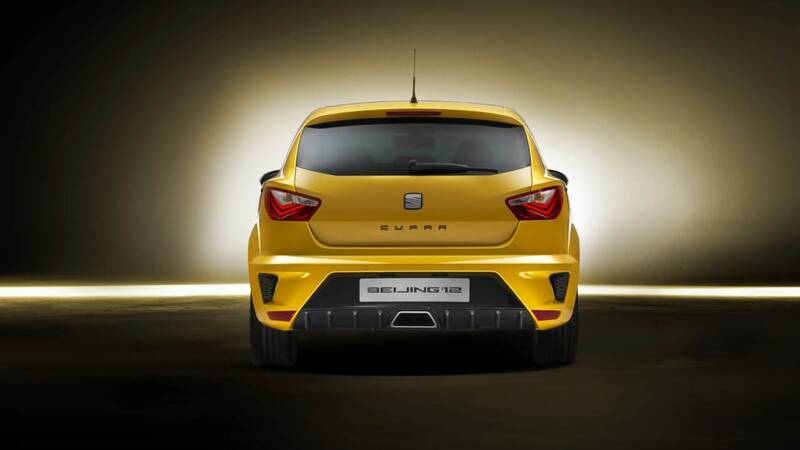 The powerful rear end underscores once more the special role of the Ibiza CUPRA as the new benchmark among compact sports cars – the yellow of the broad bumper frames the substantial, matt-black diffuser and the trapezoidal exhaust outlet. The emotional power of the exterior design is also apparent in the interior of the Ibiza CUPRA Concept and in the extremely minimalist and clearly structured cockpit. The exceptional feeling of quality and precision craftsmanship serve to underscore SEAT's incredibly high standards. 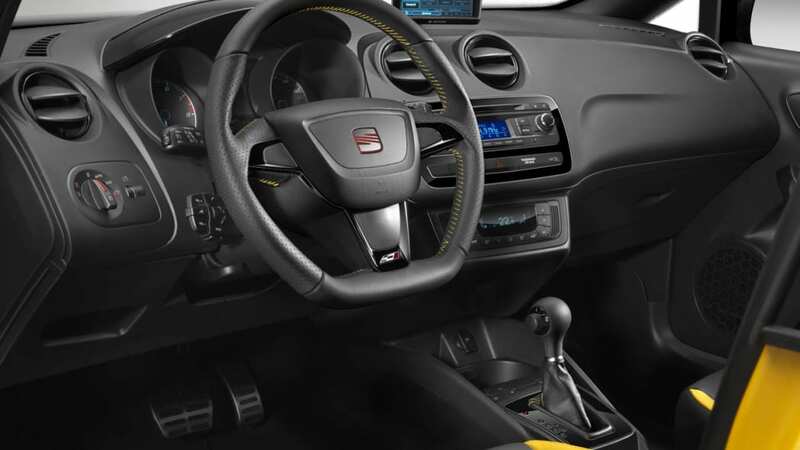 The new sports steering wheel with the CUPRA logo and the shift paddles for the DSG transmission, the dedicated instruments and the leather sports seats with their lateral flashes of yellow to match the iconic CUPRA exterior colour are all clear indications of the special role held by the top version of the Ibiza line. 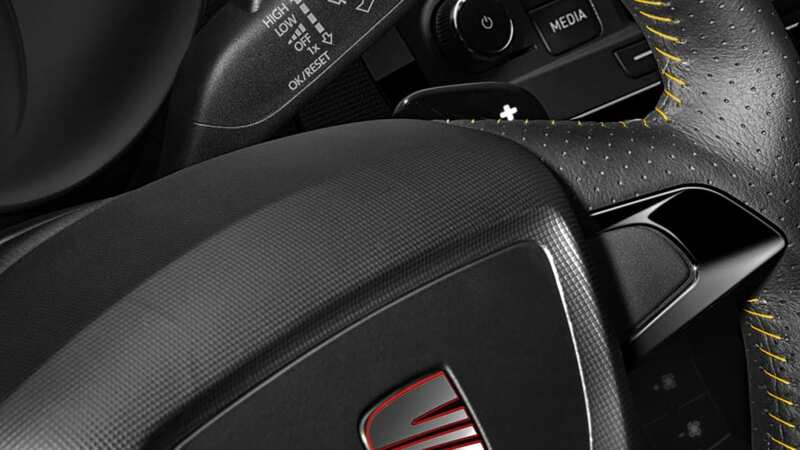 The entertainment system in the Ibiza CUPRA Concept is completely new – the powerful audio set-up can be complemented by the innovative SEAT Portable System. The highly affordable solution with a 5-inch screen is removable for mobile use and yet perfectly integrated into the vehicle electronics. 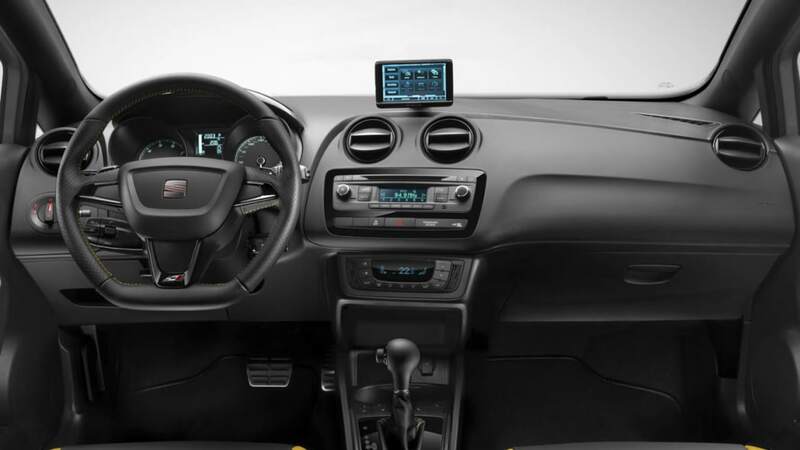 Its many functions include the navigation system, the hands-free phone system with voice control and an on-board computer. 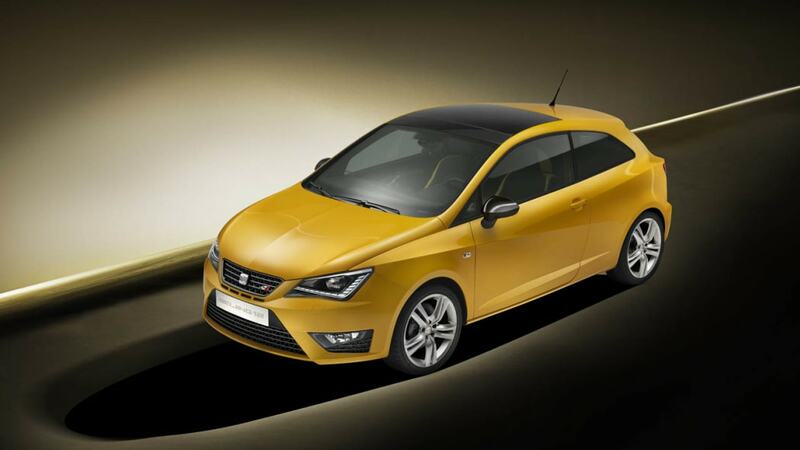 At a later point, the SEAT Portable System will be available as an option for the entire Ibiza family. 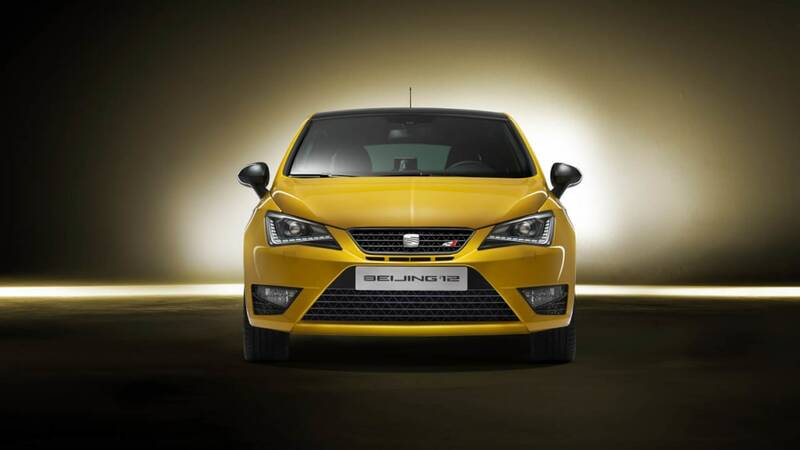 With the Ibiza CUPRA Concept, driving enjoyment and smiles are guaranteed. 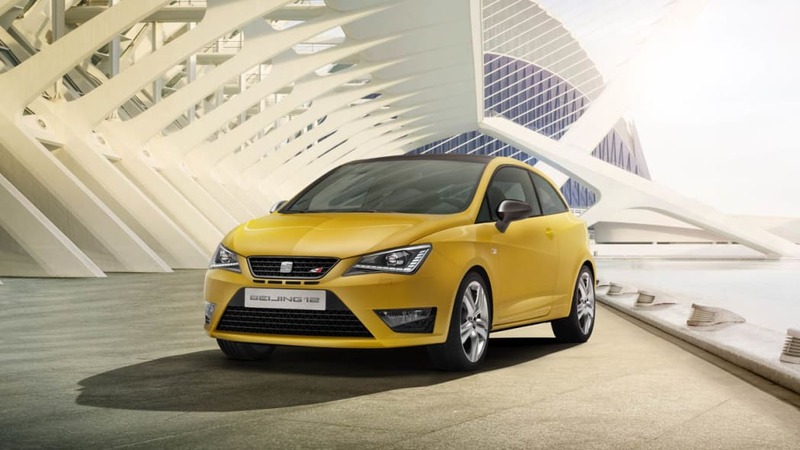 SEAT Group employs more than 14,000 professionals at its three production centres in Barcelona - Zona Franca, El Prat de Llobregat and Martorell, where it manufactures the highly successful Ibiza and Leon, amongst other models. The Volkswagen Group production facility at Palmela in Portugal supplies the SEAT Alhambra and the factory in Bratislava (Slovakia) manufactures the SEAT Mii. The Spanish multinational also has a Technical Center, a 'knowledge hub', bringing together more than 900 engineers whose goal is to be the driving force behind innovation for the number one industrial investor in R&D in Spain. In line with its declared commitment to environmental protection, SEAT undertakes and bases its core activity on sustainability, namely reduction of CO2 emissions, energy efficiency, as well as recycling and re-use of resources.